Build a Memory: Stuff to Scrap Countdown to Christmas! 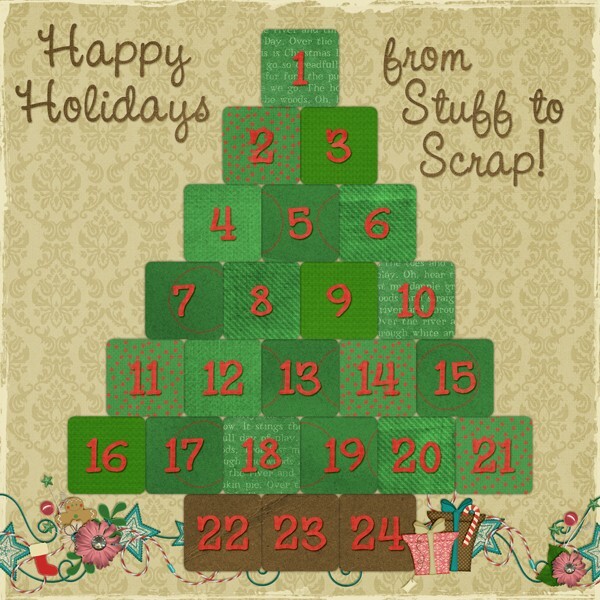 The designers at Stuff to Scrap are going to be giving away freebies everyday from now until Christmas on the STS blog. A new part will be revealed each day. Links will be active for one week before being taken down so be sure to grab them quickly. I have seen quite a few of them including my own and you don’t want to miss it!